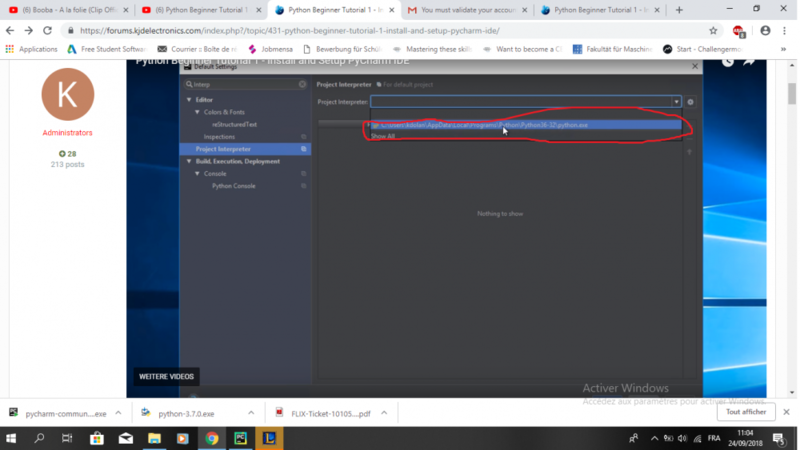 This tutorial covers the instillation of the latest version of Python 3 and instillation and setup of the Free JetBrains PyCharm IDE. After watching this video you will know how to run your very first python script (Hello World). Post questions and comments specifically related to this video below. i am unable to install python on my win 10 laptop. It does not recognize the environment variable. Please assist. I have tried both the versions - 3.6 and now 2.7 - none works. This should be taken care of during the install in the step where you select to create the environmental variables. Don't stress too much about not getting the environment variable setup as it is not strictly required if you use PyCharm. I'm having the same issue as Logmein. I've tried this 4-5 times but do not see what error I'm making when installing (or select to create the environmental variable). Related, what is "PyCharm"? when would I use this? What the video in the first post in this thread. PyCharm is an IDE (integrated development environment). The video explains how to setup and install PyCharm. That will at least get you started using python and you can save your environment variable issues for another day. where can I download windows SP1 for 32 bit? So I started watching your updated video guide to learning python and I'm brand new to coding. 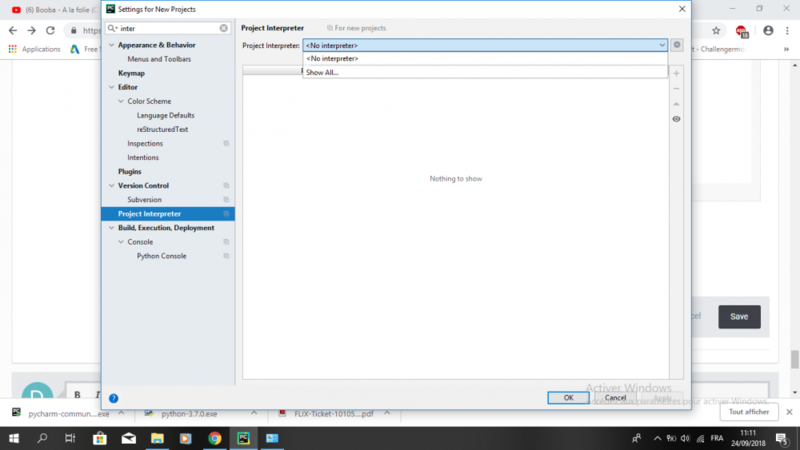 When I go to add the project interpreter there isn't anything there. Thanks! ive Joined your class. Thankyou kevin. im learning python thanks to you. When I click my project interpreter there is no path to my exe. and no option to find the path manually, do you know how to go about fixing this? If I'm running Linux (Kubuntu 18.04), are there alternatives to the above windows downloads? Nevermind :) I figured it out. I am installing Python on my quadcore . My Pc have 3 Gh procesor, 2 Gb Ram and 160 GB hard disk. I have downloaded 3 and 2 versions but cannot install it. At the time of installation, I am getting an ( error 0*80072f7d ). 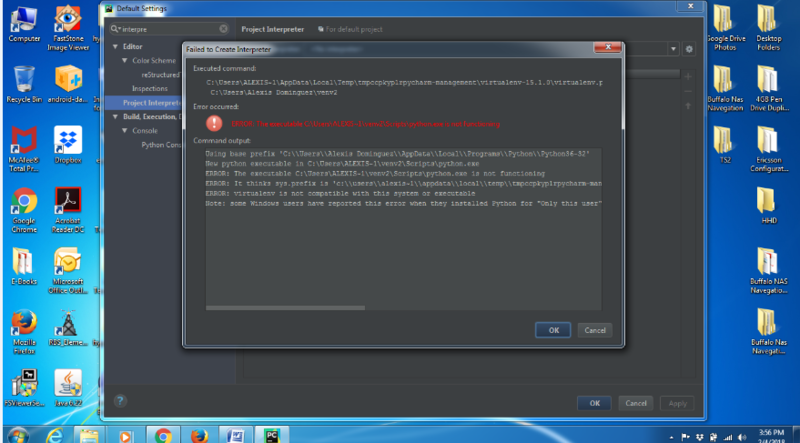 Installed PyCharm ok. It's a pretty complex interface. As I go through the videos, setting up new files, I have trouble just running one file at a time, creating new files, etc. Also confused about the folders, 'scratch files', and all the other features. A more in depth tour of PyCharm would be really helpful in a video. PyCharms tutorials are meant for advanced coders and use very complicated jargon. when you search for the "project interpreter",you get a link and The problem is that i don't have it. Can you please tell me what to do.